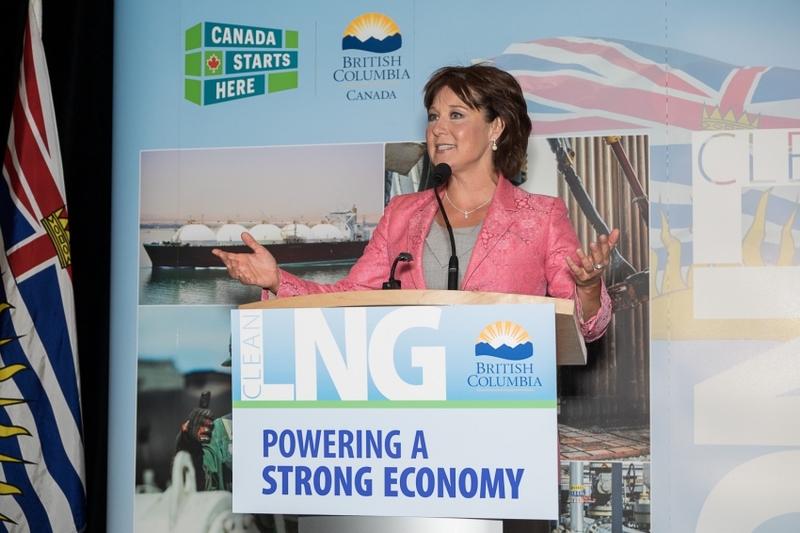 Christy Clark at second annual international LNG in BC conference in May 2014. Photo from BC government. Two weeks after Malaysian state-owned gas giant Petronas threatened to delay its $11 billion LNG project in B.C., British Columbia announced it is cutting its proposed tax rate by half. According to draft legislation in February, the B.C. government intended to charge a tax rate starting at 1.5 per cent and 7 per cent on net income once LNG terminals recover capital costs. But on October 6, Petronas CEO Shamsul Azhar Abbas warned that his company could delay its Pacific Northwest LNG project if the B.C. government could not come to an agreement with industry on ways to lower costs on the project by the month's end. After pressure from industry for better terms to invest in B.C., the government has announced today it will charge a tax starting at 1.5 per cent and going up to 3.5 per cent. After 2037, the rate will increase to 5 per cent to ensure that "proponents have time to build a strong foundation in the communities in which they operate before the full extent of the tax is applied". "This marks an important next step in attracting LNG industry in British Columbia," Premier Christy Clark said in a news release. "Our competitive tax framework provides certainty and stability for proponents, long-term revenues for British Columbians and encourages high paying jobs that will come and be generated by the establishment of this industry." To date, none of the proponents of 18 LNG shipping terminals in British Columbia has agreed to start construction. Finance Minister Michael de Jong said it was "complex" to negotiate a tax rate that worked for both industry and B.C., and that 3.5 per cent struck the right balance. 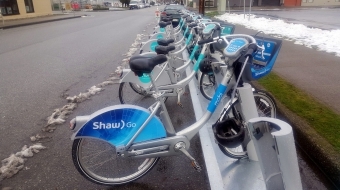 Professor Jennifer Winter of The School of Public Policy at the University of Calgary told the Vancouver Observer in an earlier interview that B.C. would be in danger of losing out on LNG developments if it didn't lower its taxes. “Reducing the tier 2 portion of the LNG tax could make a difference between a project being profitable or not,” she said, adding that LNG producers are faced with steep production and transportation costs and uncertain profit margins on the international market. According to energy journalist Andrew Nikiforuk, however, B.C. already has one of the lowest tax programs for natural gas in the world. Earlier this year, a report by the Canadian Centre for Policy Alternatives suggested that even if gas prices remained high for the next 30 years, British Columbia would not be getting $100 billion from new LNG projects, as the Premier had promised during her election campaign. In the report, economist Marc Lee calculated that even if the LNG sold for top dollar ($16.36/mmbtu) and taxed at 7 per cent – it would only amount to $1.7-billion annually. As a result of the new tax, that amount could turn out to be lower than projected.